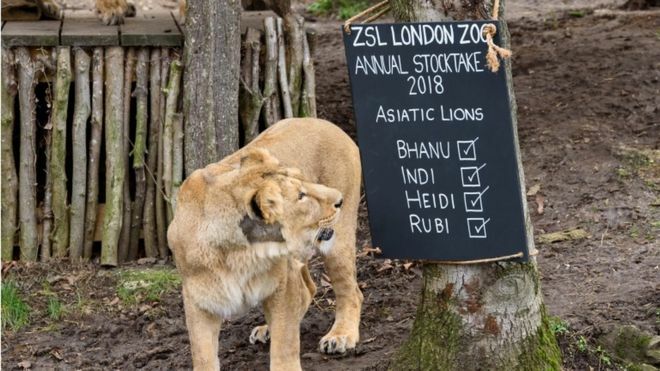 Asiatic Lion and Gir Forest: London Zoo: Let's get counting! London Zoo has done its annual animal count where they see how many creatures are in the zoo and make sure none have done a 'Madagascar' and escaped! 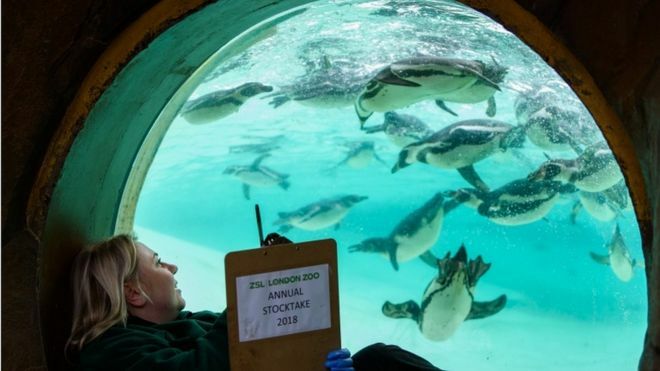 Every year London Zoo count all the animals in the zoo to make sure everyone is accounted for. 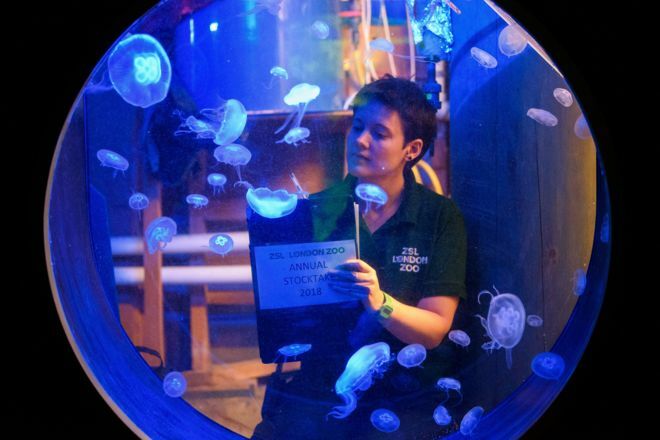 All the keepers get involved in counting all the species that live there. 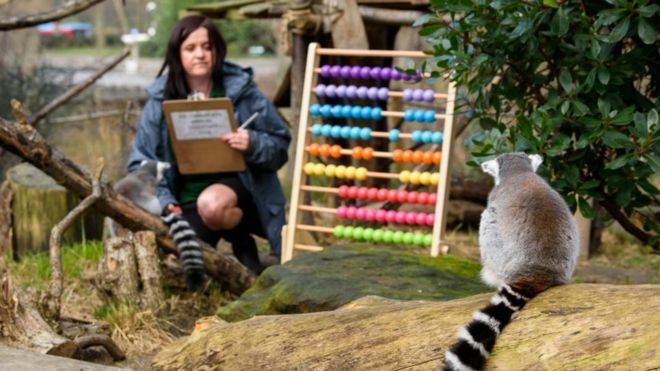 Now, we all know lemurs are clever but does this keeper think they can use an abacus? Come on! 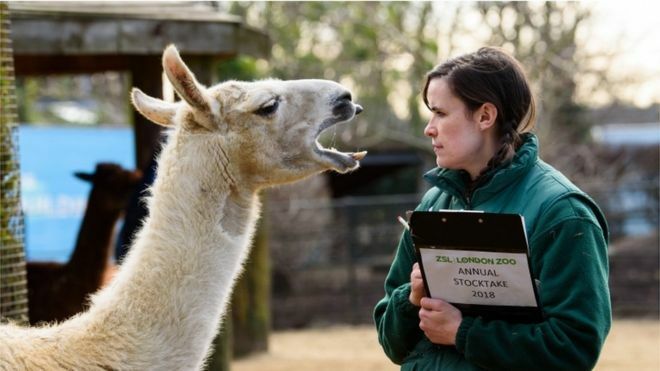 This llama looks like it has plenty to say, doesn't it? Wonder if it's telling tales on the giraffes? The keeper doesn't look scared though, she looks more like she's inspecting its teeth? Hope there isn't any bad breath going on there... Llamas live mostly in South America and they are very social animals and live with other llamas as a herd. Watch out! 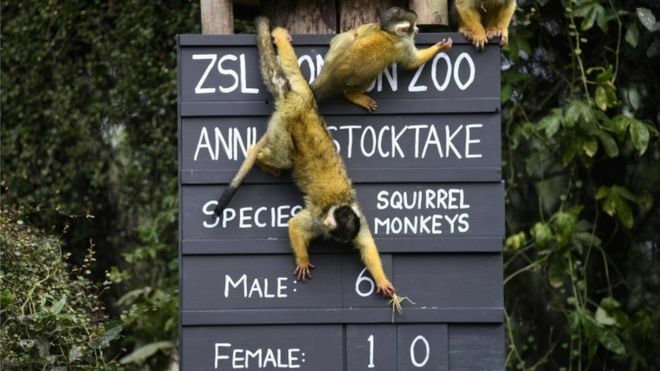 These squirrel monkeys look like they're messing with the count numbers. Squirrel monkeys live in the tropical forests of Central and South America in the canopy layer. They use their busy tails for balance. "Will you penguins just sit still!" How is this keeper supposed to count these guys when they keep running around? I don't think showing them a bucket of tasty fish will stop them running around on their Happy Feet! Look - one of them is trying to grab a sneaky snack! That's more like it. 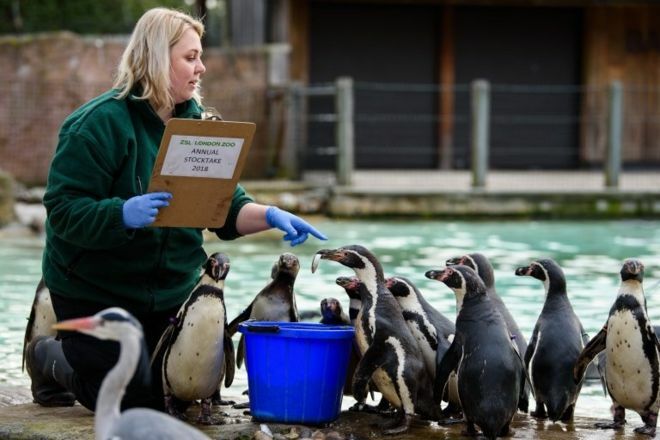 It's a bit more relaxing for the keeper - but how do you keep track of which penguin is which? Did you know almost all penguins live in the southern hemisphere, with only one species, the Galapagos penguin, found north of the equator. 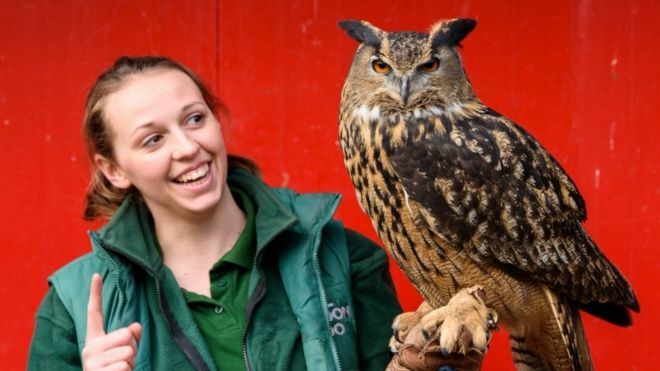 I'm not sure I like the way Max the eagle owl is looking at me there! He could be getting ready to swoop! Most owls are nocturnal animals which means they hunt at night. I wonder if Max is feeling as grumpy as Old Brown if he's been woken up for a count during his beauty sleep? Looks like this queen of the jungle is checking that the keepers have got their sums right. Asiatic Lions mostly come from the Gurat province of India. They're endangered and the Asiatic Lion Census in 2017 found just 650 animals in the wild. Normally London Zoo do their count at the beginning of January. They have over 19,000 animals at the zoo and over 700 species. This is the first count they've done since a fire at the zoo in December 2017.